Stay Informed about all the OHS Legislation Requirements. Click here for to find the most up to date information. 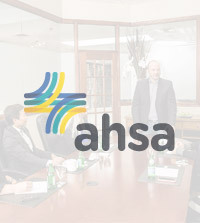 Established in 1999, the Alberta Hospitality Safety Association (AHSA) is a not-for-profit organization with a mission to support and educate Alberta’s hospitality industry in the development of effective health & safety programs. We provide training and other resources designed to assist hospitality industry employers to build systems appropriate to the hazards of their work environments. If you work at a hotel, motel or convention centre in Alberta, you are Already a member. Not with a hotel and want to take advantage of the membership benefits? We make it easy for all employers in the hospitality industry to join and take advantage of what we have to offer. Let us help you develop and maintain a quality health and safety management program for your workplace. It looks like winter in Alberta may finally be over and it’s time for the task of outdoor maintenance. Here are some safety tips for addressing outside hazards as we move in the spring in summer season.